Ugly is the Bollywood Drama Thriller film Directed by the famous Bollywood Director Anurag Kashyap, who already gave much more promising films as a director and producer like Bombay Talkies, The Lunchbox and That Girl in Yellow Boots etc. 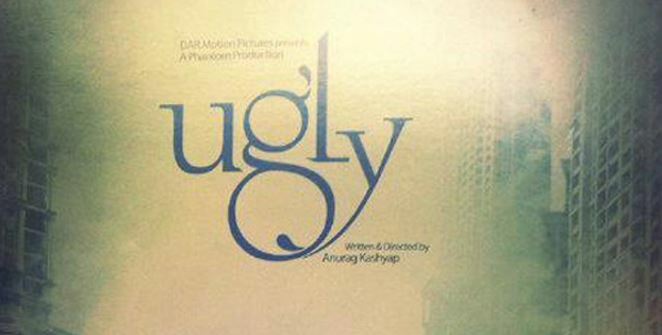 One more movie “Ugly”, The Most Awaited movie by Anurag Kashyap as a director released on 26th December 2014 but it fails to attract the audience as Pk Movie is hitting the box office. Ugly is the stronger in storyline as per the public review. Even the Pk is booming the box office, Meanwhile Many of the guys, fans of Anurag kashyap’s movie seen the movies at theaters and they reviewed the movie as best and gave 4 stars out of 5. Movie is full of Emotional drama, suspense, Thrilling and keep sticking to the audience till the end, Indiaglitz took the live review at the Box office and people at the Box office reviewed the movie as the best and told that the All the characters fits best in the movie. Ronit Roy as Shoumik Bose plays the fantastic role and it was different unique role by Ronit. Vineet Kumar Singh, Rahul Bhat, Girish Kulkarni, Siddhanth Kapoor, Tejaswini Kolhapure all the characters did fabulous job in the movie. The Films is quite dark but promising and different than other Bollywood movies. Performance of each character in the movie was good as per the public review. Ugly movie’s First day Box office collection was quite low due to the Lingaa and Pk’s early release. Watch the Public review at the Box office. According to the stronger audience review we can only say that the Movie released time was improper along with the Movie PK release. Ugly did not cached the public attraction because the PK made the viral effect on its First day. Suspense movie with full of thrill and drama could not make the more impact to the audience on its bad time release.